My first impression when looking over the website was that even though the company uses US sizing (which traditionally tends to be more limited), the sizes available are fairly impressive: 30A to 46J (that's 46GG UK). The brand also looks to be expanding sizes in their lines that are more limited - a good sign! As a UK 28H/US 28K, I'm sized out of just about every brand I can think of that uses US sizing, but luckily for me, the Maxine bra is available in my sister size of US 30J (UK 30GG), so I agreed to give it a whirl! I also enlisted the help of a reviewer, Marie, to try out a few of Fit Fully Yours' other options. Marie, who wears in the 36DD/E range, is lucky enough to generally fit within the Victoria's Secret size range; her recent experiences have largely been with VS-brand bras, in terms of comparison. A big thanks to her for sharing her thoughts! The Smooth Sweetheart is available in nine colors in sizes 30-38 A, 30-44 B-F, and 30-38 FF (UK sizing). It retails for $58. 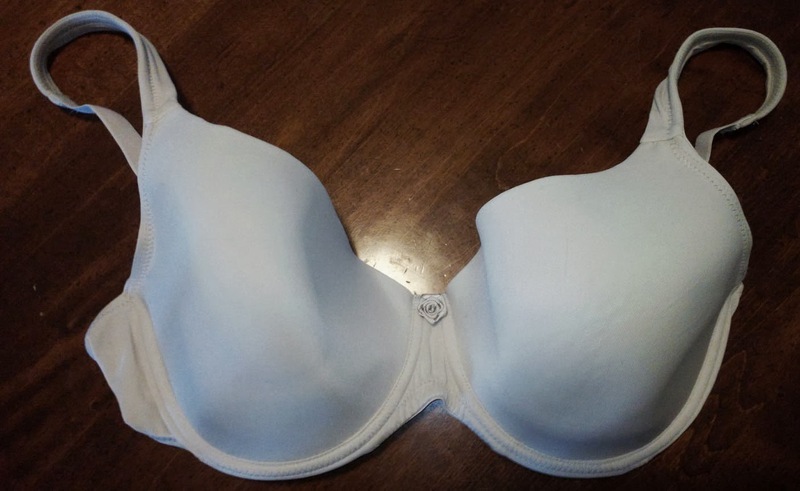 "The bra seems like a good standard bra made with decent material. I decided to try the Fawn colorway since I needed a new tan bra (although I did like the other colors available). I liked how in the front the material in between the cups has a slight upward curve. It made the cups seem less bulky and annoying while I was wearing it. The band was tight. I'm a solid 36 band across the board, but even fastened on the loosest hook, the bra is very firm. However, I like tight bands so this was good for me - it was a "comfy tight". Someone who likes looser bands probably would not care as much for this bra. The straps were interesting... I could only adjust them halfway. 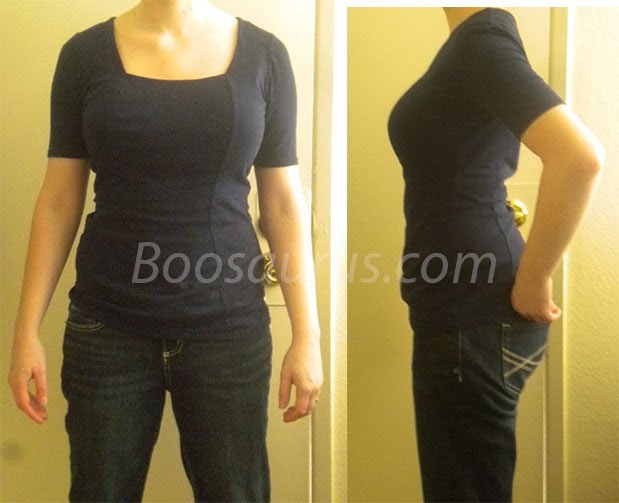 I have a long torso (bras that advertise as convertible into racerback have too short of straps for me to do that), so the straps had to be loosened all they way for a comfortable fit." "I really liked the Crystal bra! I generally wear a 36DD, but the 36 band on this bra was way too tight for me (it measured just 35" fully stretched). I went with 38DD instead and it fit perfectly! I think the material is super comfy, which definitely makes it nice to wear all day. It also had a cute little jewel decoration in the center to add that something special. :) My only dislike was the straps. Again, you can only adjust them halfway, and the other half is a "fixed" strap. It's not uncomfortable, but personally I just like being able to adjust the whole strap. 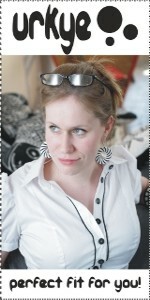 Overall, I think this is a GREAT bra that is very comfortable, but order the band one size bigger then you normally do." I've also been informed that this bra in particular (as well as many others from the Fit Fully Yours line) works well for augmented breasts. 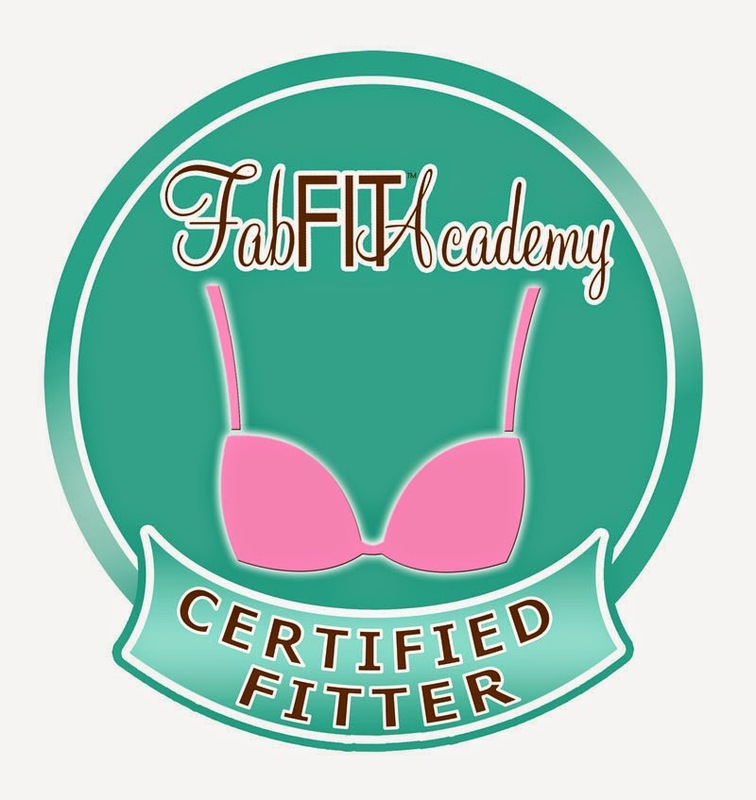 Since it can be very tricky to find a bra that gives a good fit and the right shape for implants, this should be welcome news for many! I tried this bra out in the Ocean Green colorway (it ended up being a very, very light, almost minty green). The Maxine comes in sizes 30-46 D-GG (UK sizing) and five colorways, with a new red color coming out in early 2014. It retails for higher than most of the rest of the brand's offerings (presumably this is largely due to the fact that it comes in more sizes), at $79.95. In keeping with Marie's experience with the other two bras, the band was definitely firm, measuring 29" fully stretched. My underbust measures 27", and this bra felt snug to me when fastened on the tightest hooks. It would be ideal, then, for someone who prefers looser 28 bands, tighter 30 bands, or who considers themselves "in between" bands. Fitwise, it was really quite close to being a good fit despite my having to sister-size to a 30 band. I did notice that I got a little bit of empty space in the bottoms of the cup, but not enough to make the bra unwearable. The top edge of the cups seems fairly forgiving, and I'd guess that the cups would work with most breast shapes. The tops of the cup felt a tiny bit empty for me (although the edge of the cup sat nicely against my chest) as I have a more full-on-bottom shape, but I think that this wouldn't happen in my exact right size (and those with a more full-on-top shape would probably get a nice bit of cleavage in this bra). The straps are halfway adjustable, the band has three hooks, and I'd call the wires on the more narrow side. The top of the cups and the straps also have an embossed design, which adds a bit of interest and (I found) doesn't show up under shirts. Overall, the look, feel, and style of the bra reminded me of the nicer bras that one sees in department stores and Victoria's Secret - it was nice to get to wear the kind of bra similar to what I see carried in stores for just about the first time. I would consider this bra to be more "full coverage" than the moulded bras I usually wear; it's definitely not as deep a plunge like the Freya Deco (see below). However, I also didn't find that the bra came up too high - it didn't show under the scoop-neck shirts I tried it with (I'd steer clear of wearing it with very low/wide v-necks, though). The material was comfortable and lightweight, and it's moulded, not padded (for comparison, the Deco has a light layer of padding in between the fabric). And while the bra cups themselves appear a bit pointy rather than completely rounded, I didn't find that the bra gave a pointy shape underneath clothing. My overall first impression of the Fit Fully Yours brand is a positive one. I think the bras would be ideal for those who prefer a very smooth, "mainstream" looking material, are looking for firmer bands, are looking for sizes that can be hard to find (like 30 bands and 40-46 bands in B-GG cups), and (particularly the Crystal Smooth line) for those who have had a breast augmentation. Personally, I appreciated the decent size range, the range of colors available, and the firm bands. The price point for this brand is on the higher end, but for those within the various "hard to fit" categories, it may well be worth it. You can find the Fit Fully Yours bras mentioned in this post in stock at at BeautyFull Bras, which offers free shipping. Have you heard of this brand before? What are your thoughts?